Ever South Korea's number two, LG has always been the underdog, ever walking in the shadow of its much larger, cross-town rival Samsung. But it has been putting the left in front of the right, and the right in front of the left, never despairing. It's a tech story of resilience, determination, and unbridled ambition. Does LG deserve its fate as the runner-up? Perhaps. But it sure is trying its very best to shake Samsung's throne, achieving its ends not through brute force, but sheer ingenuity—the same ingenuity that brought us devices like the LG G2, the G4, and more recently, the V10. 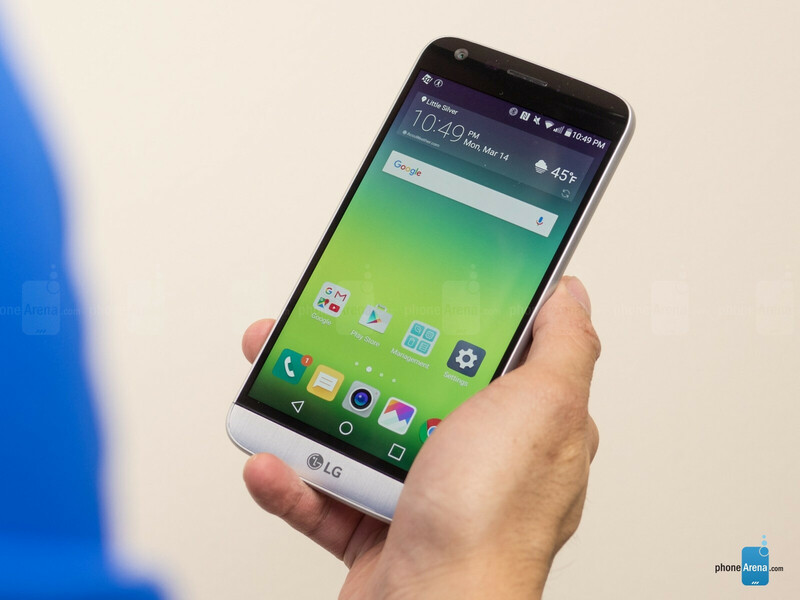 And now, with the G5, LG is cementing its position as that quirky phone maker that always seeks to surprise and even entertain. For example, the LG G5 is the only phone that will literally drop trou for you, exposing its nether regions. This modular design is where the 'entertain' part kicks in, for the removable bottom can accommodate different accessories, such as a specialized camera grip for a more convenient photography experience, or a high-fidelity external audio device for improved sound quality. 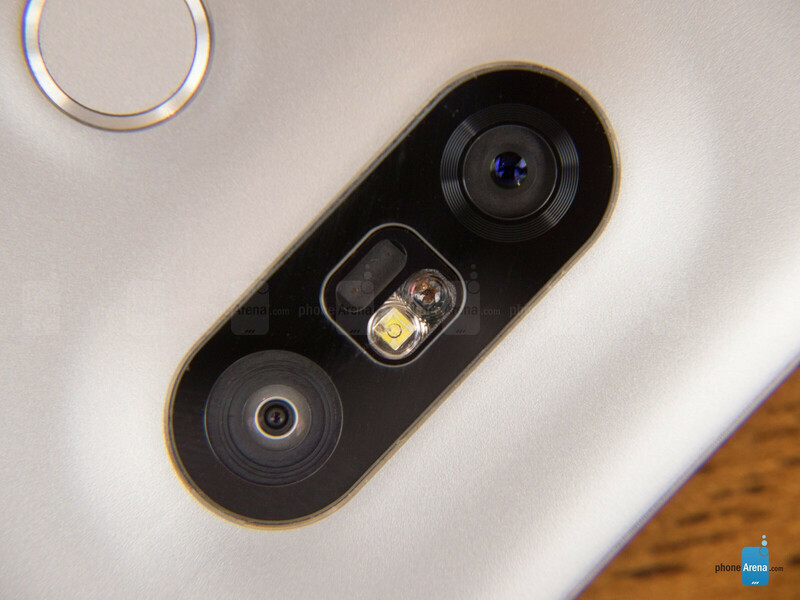 There are other oddities with the phone too, such as a dual camera setup that is unlike anything else on the market. Add to that the equally quirky LG “Friends”—accessories such as a smart rolling ball robot and a hand-held, 360° camera—and you've got one heck of a colorful entourage. But at the end of the day, playfulness is the icing on top, and that top needs a solid foundation to warrant a purchase in an increasingly competitive market. We've got a pre-production LG G5 allowing us to take our first stab at that foundation, and get a clue as to how rigid it is. 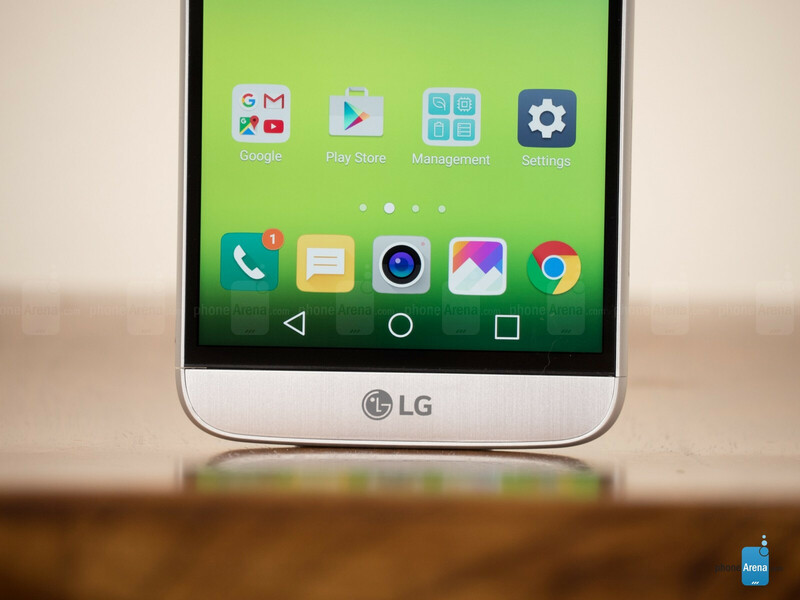 Plastic is out, metal is in: the G5 opens a new chapter in LG's design history. For the last three years, LG has had a very clear design philosophy when it comes to its flagship line—and the ones beneath it, which were influenced by it. It's what the company referred to as 'arc' design, or rounded rectangles with a slightly arching top and bottom, and particulars such as rear-mounted power and volume keys, and removable back plates from the G3 onward. With the G5, however, LG is closing that page of its design history and moving on. 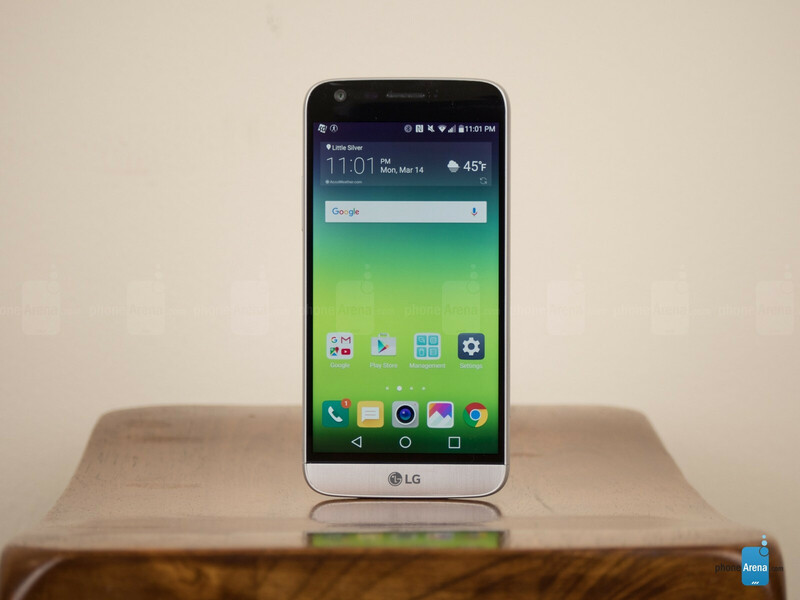 Most will agree that the LG G5 is unlike any of its G-series predecessors. It's more aggressively rounded at the sides, smaller, thinner, and while the volume keys have been re-positioned to the left side, it's honestly quirkier than ever. 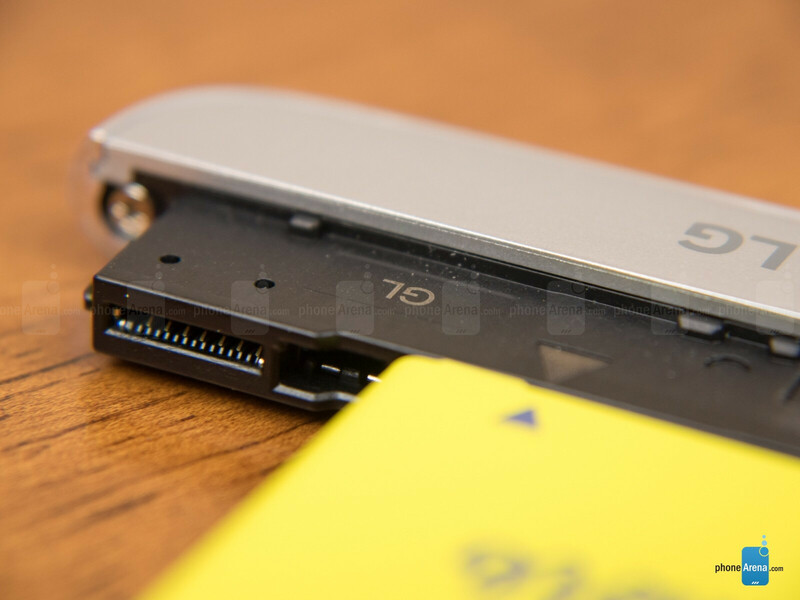 The top of the phone, for example, is slightly flexed backwards, while a circular power key doubles up as a fingerprint scanner on the back, alike to the Nexus 5X. Most importantly, in a world increasingly dominated by metal high-ends, LG finally joins the club and is ditching plastic—even if adorned with leather—in favor of cool aluminum. By far the most peculiar part about the G5 is, of course, the modular bottom, which can be ejected with a press of a button on the lower left. The removal process itself is well thought-out, though once the module is out, we're always afraid that we're about to snap the 2,800mAh battery in half when trying to detach it from the base, due to the amount of force required. This being an early production unit, we're kind of hoping that final G5s hitting the street won't have that problem, though if we're being honest, you won't have to deal with this often anyway. All said, does the G5 fill in the G4's leather shoes? We'd argue it does, and as cliched as it may sound, the metal make and the subtle chrome lining of the frame sure help with that. So we dig the vibe of the phone, though the matte back is, naturally, on the slippery side. Meanwhile, the aforementioned chrome edge also digs into the hand a little bit. 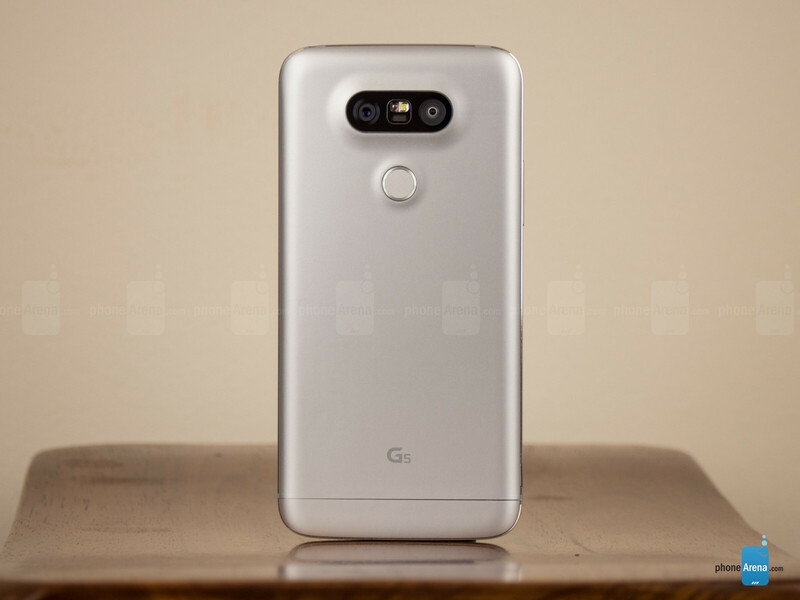 In the end, we applaud the minimalist approach this time around, but at the same time, we can't pretend that we're head over heels in love with the G5's styling either. It's kind of an acquired taste. A smaller display, but the same Quad HD resolution of old. LG was the first to jump onto the Quad HD bandwagon, but thankfully, it has seen no reason to chase even more resolution with the G5. The 1440 x 2560 pixel resolution of old is what we're dealing with, though all that visual excess is now less evident than ever before, with the company going for a more manageable, 5.3-inch display—in contrast to the 5.5-inch panels of its last two flagships. To protect the screen, LG is making use of what it calls a 3D Arc Glass, which we surmise is a custom cover, and not a third-party solution such as Corning's Gorilla Glass. This being a pre-production unit and all, we're refraining from running our scientific measurements, though we do hope that the screen of the final unit isn't as cold—or bluish-looking—as this. That said, at least in terms of visibility, the screen is bright enough to be made out even under direct sunlight, and can drop its brightness to decently low levels for the night owls among us. Last, but certainly not least, the IPS LCD display of the G5 has been cleverly engineered as to allow it to jump on what is starting to feel like the next bandwagon: Always On Display. 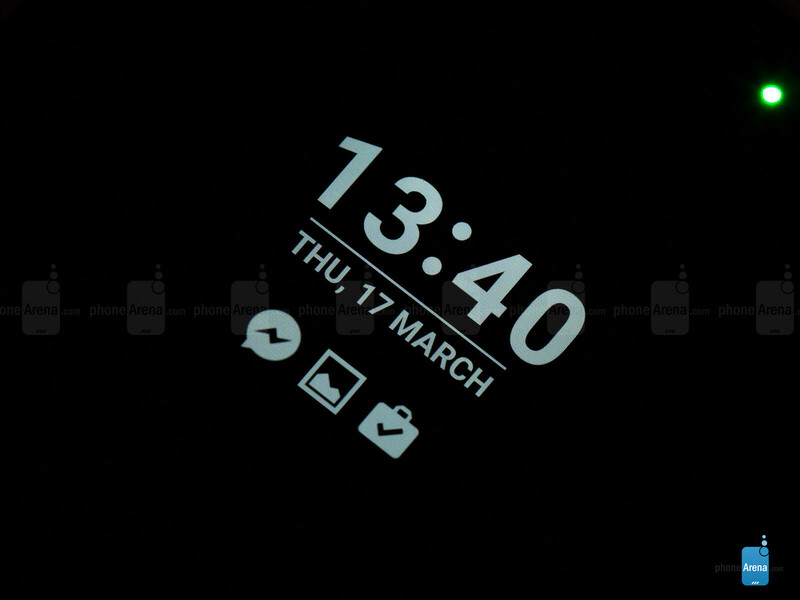 This new feature means that the phone will always display the time and date, along with any incoming notifications—even ones from third parties. Customization is limited to just adding a personal message, which is a bit unfortunate, as is the fact that the content is rather hard to read from even a moderate angle—especially when there's light from lamps or the sun bouncing off of the display. Still, we feel this is a useful feature, and hopefully one that will be a net positive in terms of battery life in the long run. 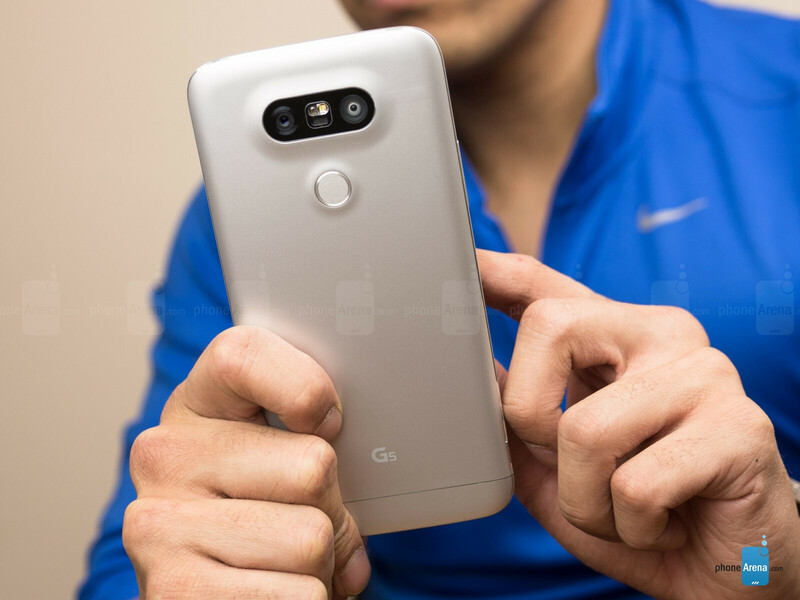 I hope LG will price the G5 lower than most flagship. Looking back, if they had priced the G4 similar to what it us now, it would have sold out like pancakes. Here in Canada, it's priced about $100 lower than the S7 and about $200 lower than the S7 edge. To me personally LG has dethroned Samsung as my favorite tech brand, All they have to do now is make there highend phone display with Amoled like there oled TV. Samsung set the bar so it would be hard for any OEM to out run. I am so eager for HTC 10 which I know or feel like won't be better than S7 or edge. But that I what I am gonna get. Well I have s7 edge I admire it but I don't love it. Probably only reason is Samsung software which is great but it have so many little flaws for me. The only thing I don't really like about the G5 is the removal of the volume buttons on the back. I understand that LG is trying to appeal to more consumers, but they're also furthering themselves with the complex "feel" of the phone. Most people couldn't care less about modularity, and the dual cameras, while very useful, are an eyesore for many. How is the stock 3.5mm headphone sound compared to the v10 or s7? I wanna know about this as well! Once we get a final G5 unit, I'll make sure to come back to you on this one. Hi! I love your web site, i learn so much about cell phones, thanks. 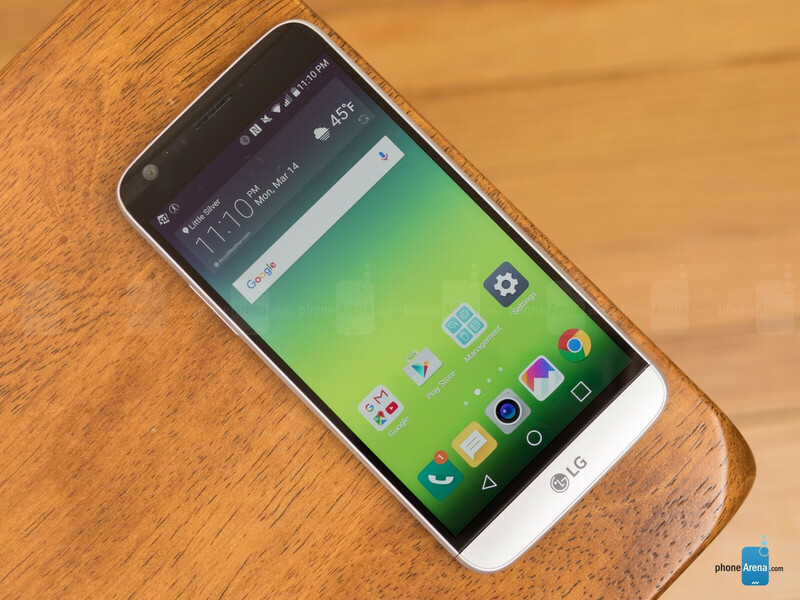 I have a question about LG g5. I want know ils MAXIMUM Brightness " Nits " indoor ans outdoor, thanks for answer. I hesitate between xperia z5 and lg g5, i need a phone bright as my Alcatel idol 3, im often outside, sometime in bright sun and my house is very bright. And i love playing games too. Thanks for answer about Maximum Brightness. Since this is a preview unit, I won't go into details. Visibility is pretty good outdoors, even under direct sunlight, as mentioned in the preview. Pretty soon, you'll get the final numbers in a proper review format, so stay tuned! LG is really trying here and the concept is good but for me, and that is only me, 1. I don't want the burden of carrying extra modules I feel like everything should be built in - we are shooting for the one device to rule them all. 2. The cost of the extra modules is an issue for me. I feel like when I buy the device it should have all of these features built in ( I know maybe I am asking for too much but that's me) 3. This is a pre-production model so I know if LG will address it but I don't like the fact that device has to reboot. every time a module is switch out is a deal breaker for me. I wish LG the best as they have turn the corner from the old LG of old ( I loved their LG Chocolate, DARE and then the LG S interface series of phones However the did not provide firmware updates or support their devices well they had no mobile strategy back then so I left for Apple) This LG has been really been pushing the envelope and I commend them for it. However, right now I believe the S7 is the better phone here ( I am currently using the S6 as my daily driver and really love it) But kudos to LG I hope they do well. It has to reboot because the battery comes out with it. Software can't fix that, once the battery is removed, nothing is powering the device. A comment and a correction for this review. First the Cam Plus Module has a 1200 Milliamp Hour battery and not a 1000 as reported here. The comment is regarding why the Manual Video Mode is not on the G5... The V10 is Video smartphone and is designed for the unique needs of a video enthusiast. This is why it came with 64GB of storage and the 3 built in microphones with its enhanced audio 2.0 feature in the Manual Video. The G5 is a more rounded flagship phone that is focused to the person who is looking for a top of the line phone that has a broader focus, thus the reason for it's modules and smaller screen size. You mentioned that LG G5 Hi-Fi module has its own loudspeaker built in. So there is another loudspeaker which is different from internal built one on removable module? How good does that speaker sound? Is it much louder? 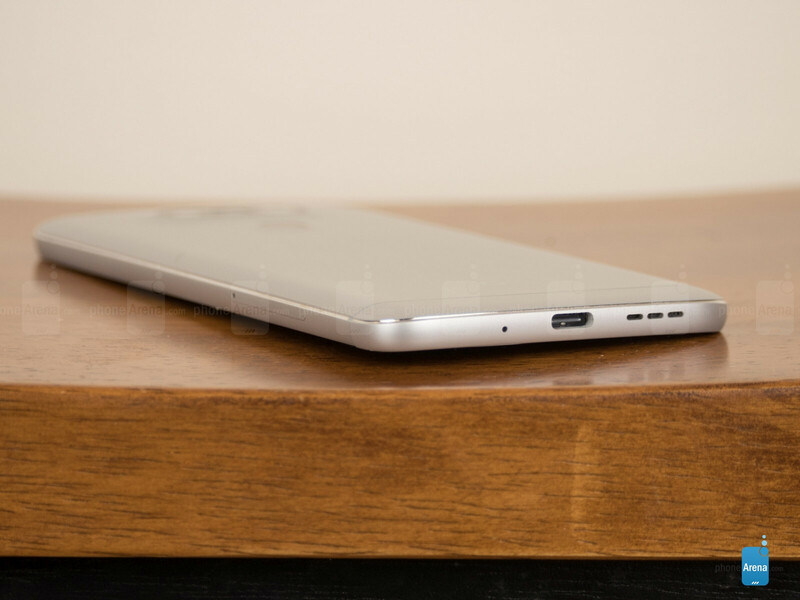 Yes, it basically replaces the bottom-facing one built into the G5 and adds a second 3.5mm jack (the built-in one is on the top). It's a shame, quite enjoyed using LG's skin after using a Samsung phone, now it looks like Sammies skin. If it had wireless charging I would get it. I feel that the modular design had way more scope than what LG has presently come up with. And what's with the dwindling battery capacity LG ? G2 had 3000 mAh and 5.2 Inch display with better screen to body ratio. G3 was simply awesome ! For now , Samsung S7 Edge remains the best flagship to be announced at MWC. LG keeps gimping the software for no real reason. Removing features that don't save on anything is not a good plan, for anyone. It's going to be the main reason I skip this phone, personally. The G3 is still ok, but when it has more software features than a newer model, that doesn't look good. it's not the phone that's keeping the applications from being moved to the SD card it's Android there was a 4.4 update that removed that particular feature not the phone. IF ONLY LG improves their smartphone build quality, they will beat S*msung. LG flagships known bad for their build quality. After one year usage, most of the G3 community members in my country MUST took their phone to service center. Most of their problems are battery drain, screen problem, and machine problem. For screen and machine problem, they should pay for about US$150 in my country. What I mean is the phone IS A FLAGSHIP and it's not cheap. 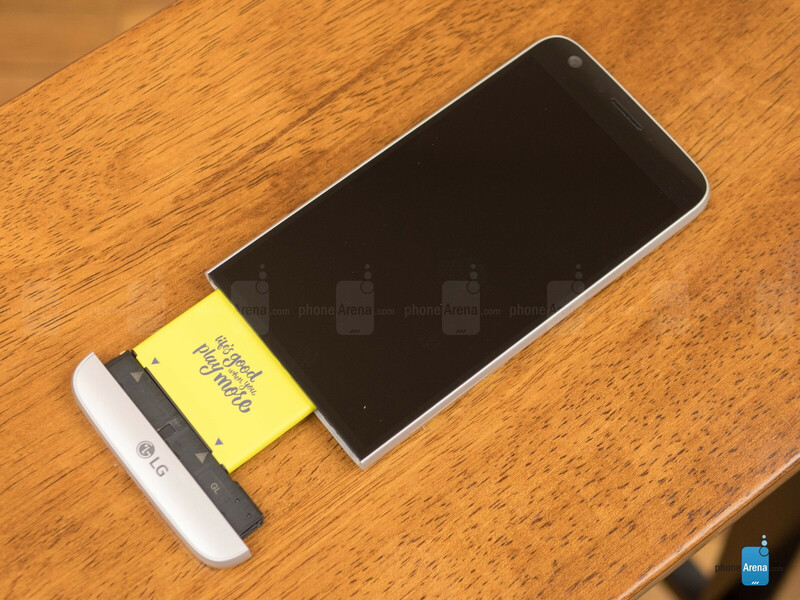 LG G4 got the boot loop problem after users do the software upgrade (I forgot the version). I know the users could bring it to the service center to do the spare part replacement. But not much people want their new phone to be broken and teared down. Flagship price, bad build quality, NO GO. The modular idea gives the G5 HUGE potentials that might not be fulfilled. I hope 3rd parties (plus LG itself) come up with more & more modulars that add more functionality to the phone. I, personally, am going for the S7 Edge but if I see enough modulars that I like, I would gladly jump ships. .....aaaaaand, my store will sell a total of ONE of those. According to GSMArena's battery life scores, the G5 does not last as long as even the G3, which is way way down GSMArena's list, although the V10 is even worse. Pathetic, deal-killer. LG's biggest weakness is battery life and why I will never buy another LG phone until they get this right. Too bad, I loved the G3, except for battery life.